How Hyped are we with the Upcoming Hardfork? Exactly 13 hours and 5 minutes as of this writing, Hardfork 20 (Velocity) will take effect to Steemit. It has been more than a year since HF 19. We've seen a lot of changes with the behavior of the platform and the users. With the upcoming fork, "How hyped are we?". Steem Velocity Hardfork - Hardfork 20 - released 2 months ago. Released: Hardfork 20 Testnet! - released a month ago. Velocity Hardfork Account Creation Guidelines - released a month ago. What to Expect from Hardfork? The hardfork is scheduled to happen on September 25, 11:00 EST. It is 11:00 in the evening for us having GMT + 8. You can now comment every 3 seconds. Previously we are limited to only 1 comment per 20 seconds. If undelegating, the period to get your delegation back will be changed from 7 days to 5 days only. Debt ratio will be changed to 9 - 10 % from the 2 - 5 %, this is in relation to the rewards system. The reason we're receiving all Steem rewards now is because the debt ratio exceeds 5%. With it being changed to 9-10%, we will like be receiving SBD rewards on our posts. Curation rewards via self voting (immediately) will be voided. Meaning, curation rewards earned from it gets back to the rewards pool, bringing more rewards to genuine curators. Curation window will be changed from 30 mins to 15 mins. Account creation will be via Resource Credits, not the normal 0.1 Steem and 14 SP delegation. There are actually a lot of changes, but I do noted some of important and noticeable changes to new and average users. I hope this helps! What excites me the most is how will the community's behavior change with the upcoming Hardfork. Most of the changes persuade the community to encourage curating on others content. Hi, @jassennessaj. I'm a bot. It looks like you may have unclaimed rewards. 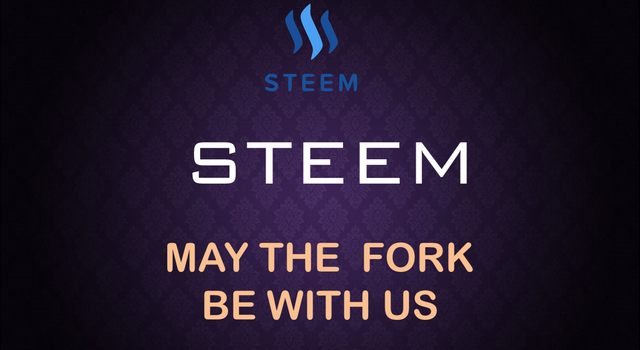 The Steem network rewards users for making posts and comments, and for voting on posts and comments. These rewards go into your rewards balance. Currently, you have 3.097 Steem, and 3.139 Steem Power in pending rewards. You can claim your rewards by visiting your wallet page. Just reply to this comment, if you need any help. Don't want to receive these messages? Just reply, asking. Resource Credits are technically has the same concept with Bandwidth. However there were some technicalities which Resource Credit offers a great solution than Bandwidth. One important is calculating the "true cost" of the transaction. Cost of a transaction varies depending what did you performed on the Steem blockchain. Currently, Bandwidth only consider the size of the transaction, which technically is flawed and the main reason why spam accounts and bots exists so much in the blockchain. The current account creation costs 0.1 Steem and 14 SP Delegation. Steemit Inc. has used more than 6 million Delegated SP to create accounts per user. Which will be very costly for them, which is the reason why we have low account signups. Instead, 0.1 Steem and 14 SP delegation will be changed to using user's Resource Credits to create accounts. Why isn't Steemit trying to remove all the bots? I feel so frustrated and irritated when I get to know that someone commented in my post and after viewing it, it is to be a bot. All my excitement of making people attracted to my post turns into frustration and sadness with some sparkle of anger. I think Steemit should focus more on this than any other thing, Right now! The truth is it is completely decentralized. We cannot stop what other people wants to do. Nobody can. That's why they're building things that discourages the things that you mentioned above ( and more than that ).